Fresco, L.O., Ruben, R., Herens, M. Challenges and perspectives for supporting sustainable and inclusive food systems. 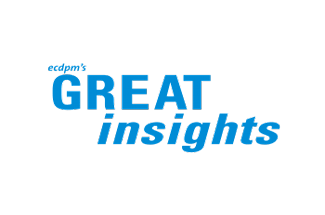 GREAT Insights Magazine, Volume 6, Issue 4. September/October 2017. This article outlines prospects for enhancing sustainability, resilience and inclusiveness in food system development and indicates strategic pathways to address the different interlinked challenges. Food systems in low and middle income countries are experiencing a radical transition in response to socio-economic and demographic changes. Rising incomes, rapid urbanisation and growing middle classes lead to strong adjustments in dietary preferences and consumer behaviour and require public and private investments for improved food market integration. Increasing agro-food production has only partially translated into less hunger and certainly has not been accompanied by a reduction in malnutrition. While there are currently about 800 million people still suffering from undernutrition, worldwide some 2.1 billion people are overweight or obese, mainly due to dietary insufficiencies, in high as well as low and middle income countries. The perspective of food systems is increasingly considered as a useful framework for understanding these changes and for shaping transformative action at the interface of science and policy. Food systems are considerably broader than only agriculture and food value chains. They encompass all the stages of food transformation: growing, harvesting, packing, processing, marketing, consuming and disposing of food residues. 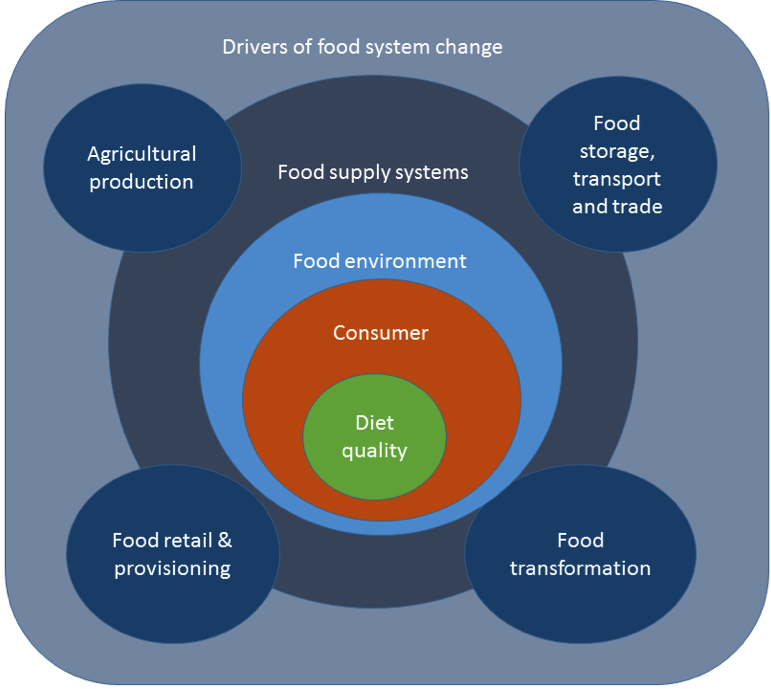 Food systems are essentially multidimensional, including sociocultural, economic, environmental and political aspects, having complex interactions with multiple actors engaged into nested agro-food systems operating within dynamic and interactive food environments (see Figure 1). It is in this light that we need to consider future developments in diet quality and healthy eating behaviours of people. It is increasingly recognised that urban and rural households are simultaneously engaged into different types of food systems. Food systems vary widely across the world. The most common food system is the agro-industrial, or ‘modern’, food system acting on a global scale, dominated by a few multinational corporations through vertical integration, composed by complex, industry-driven sub-systems with long supply chains, consolidating inputs, processing and food retail, involving mainly processed foods channelled through large supermarket chains, restaurants and catering. Alongside the agro-industrial food systems, ‘traditional’ food systems are omnipresent. These are small-scale, local systems driven by family farming, rather short supply chains, locally produced food channelled through small, local shops or wet markets. Today, it is estimated that globally most people, notably in Asia, participate in food systems which could be called ‘intermediate’. These intermediate food systems are a combination of both smallholder and larger farms, long and short supply chains, of basic products and processed food, channelled through local shops as well as modern retail outlets. Nutritious and healthy, providing and promoting consumption of diverse nutritious and safe foods for a healthy diet. The growing attention to food system inclusiveness and sustainability as global issues is a useful complement to common conceptions of food security that address issues of access, quality, utilisation of food and stability of food supply. There are several critical issues that challenge food system performance: (a) rapid urbanisation and the growth of megacities, (b) requirements for agro-food systems upgrading, and (c) management of food access, distribution and price through rural-urban linkages. Urbanisation. More people live today in urban than in rural areas and by 2050 two-thirds of the world population will reside in cities. Economic growth is rarely keeping pace with the cities’ growth. This leads to difficulties for people finding employment, pressure on land and housing allocation, and growing demands for urban planning and governance. Developing inclusive and sustainable food systems for the rapidly expanding urban populations is one of the most pressing challenges. Value chain upgrading. The provision of healthy food to these urban agglomerations puts enormous pressure on the agro-food subsystem. If this increased and changing demand is to be met by domestic supply, local agricultural production needs to become more diversified. More value can be added to agricultural products through processing, trade and packaging. Currently, in many food systems these processes tend to be energy-intensive and are accompanied by substantial losses due to inadequate handling and/or infrastructure failures. On the other hand, they may also provide new employment opportunities outside agriculture. 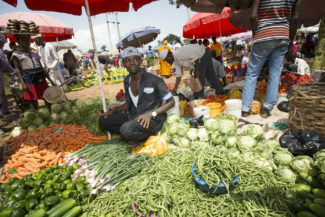 Food price management and rural-urban linkages. Rural-urban interfaces also deserve attention for improving the stability of food supply and access to food, both in terms of seasonal variation as well as with respect to food prices. Consumers can be heavily affected by sudden food price spikes due to harvest failures or increasing demand. Such insecurities are frequently addressed by maintaining strategic food reserves at household, regional or even national level. This might not only be a fairly expensive strategy but could also lead to market imbalances if sales are not in line with regular price tendencies. 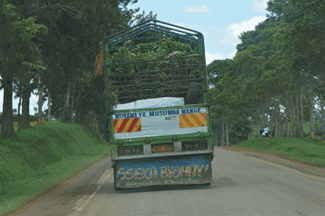 Whereas food price management for key staple crops (rice, maize) is sometimes understood from a food sovereignty perspective, prices of fresh foods like fruit, vegetables, milk, eggs and meat tend to be more volatile. 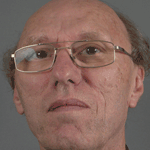 Regional trade may offer an interesting alternative for price stabilisation. More importantly, food prices can also be balanced through better forecasting (using satellite weather information) and with insurance strategies for mitigating losses. Such market resilience is vital for enabling a more inclusive food system transformation. Food governance. Responses to the new urbanising geography of food security are emerging at the local level, particularly in emerging economies, where municipal governments are recasting themselves as food system innovators. Some authors highlight the need for a tighter scholarly and policy focus on ‘connectivities’, i.e. the role of food exchange nodes and of governance coordination in the design and implementation of more effective food policy strategies. Typical examples are public facilities for local open food markets, ICT-based information provision about health properties of foods, and voucher systems that provide preferential access to food for vulnerable population groups. At another level, the Milan Pact (www.milanurbanfoodpolicypact.org) and the City Deals network (http://agendastad.nl/city-deals) in the Netherlands are innovative platforms addressing urban food policy development. Non-farm employment. Rapid changes in consumer markets, income-based food purchases, integrated value chains, and ICT innovations lead to rising off-farm labour and provide opportunities for young people to engage and contribute. One can think of sector transformations for youth employment – especially with respect to commodities such as coffee, cacao, and palm oil – bringing processing close to production sites. This is also related to value-addition along local and regional food value chains, contributing to employment creation, linking urban consumers’ food demand with dynamic and more sustainable (sub)regional food systems. Policymakers are concerned about a withdrawal of young people from the agricultural sector and the tendency to migrate to urban areas and beyond. 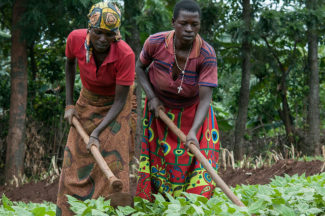 The youth face major constraints related to access to agricultural land and capital, power differences, cultural barriers and lack of participation in decision-making. Agro-food sector transformation. Food systems need to be tightly integrated and require effective coordination to guarantee dynamic adaptive management tailored towards frequently changing market circumstances. Typical examples show that food system change needs to involve both technical agro-logistical change (e.g. 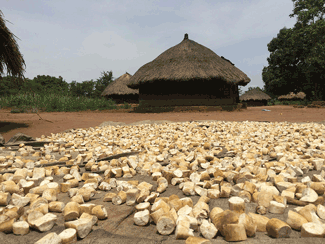 better packaging material to reduce post-harvest losses) as well as organisational change (e.g. delivery contracts that create incentives for using improved technologies). Therefore, food system change requires a multidisciplinary approach that integrates technical expertise with strategic process facilitation. Such sector transformation also combines “long” value chains which are more commercial and export oriented–in particular involving end products rather than raw materials–with “shorter” value-chains which tend to be focused on vulnerable, perishable commodities. Innovative partnerships. Inclusive and sustainable food systems tend to be embedded in partnerships that enable equity, diversity and solidarity. These partnerships may involve horizontal coordination between public, civic and private agents, as well as vertical supply chain coordination amongst private sector producers and industries. The particular aim of public-private partnerships (PPPs) is to encourage inclusive and sustainable economic development through market-oriented investment. PPPs enable knowledge, expertise and financing to be pooled: the private sector’s market-oriented approach can be coupled with civil society organisations’ knowledge of local demand, while research institutions contribute expertise and the government provides key regulations and standards. It is the networking function and the creation of lateral bonds that strengthen the capacity to address sustainability issues and to contribute to policy coherence. These relationships, as well as the innovative solutions that emerge, are necessary to fully achieve the SDGs. From our Dutch background, the PPP model is further enriched through a so-called “Dutch diamond approach” that provides a framework for joint innovation around bottlenecks in the agro-food system. These partnerships play a major role in implementing and anchoring Dutch development cooperation policy. They enable seed system investments to become linked to smallholder producers in Ghana, Ethiopia and Kenya, and support the value chain integration of dairy and aquaculture programmes for better reaching bottom-of-the-pyramid segments of consumers. Contracts. In a similar vein, direct coordination amongst agro-food producers and other value chain partners is important to enhance trust, to support certainty on transactions and to reduce post-harvest losses. Whereas in traditional food systems exchange between producers and traders is largely based on spot transactions, food systems of nutrient-rich perishable products require closer integration. Therefore, different types of quality standards and delivery contracts are developed that involve producers, traders and retailers. To achieve greater scale and reliability in agro-food transactions, opportunities for horizontal cooperation (i.e. farmers’ associations) are promoted that help to overcome constraints smallholders face, e.g. aggregating demand for inputs and services, creating economies of scale that enable investments in value addition and increase smallholders’ voice in decision making processes. Such longstanding market relations are critical for achieving incentives for investment in quality upgrading and continuous supply that support market resilience. In summary, food system transformation that responds to diet transitions in emerging economies needs to simultaneously address different and sometimes competing challenges. Dovetailing technological strategies, socio-economic incentives and governance regimes provide useful opportunities to overcome trade-offs. Food system thinking might help us to identify pathways towards supporting the sustainability, responsiveness and inclusiveness of the food systems at stake. Global Panel on Agriculture and Food Systems for Nutrition. (2016). Food systems and diets: Facing the challenges of the 21st century. London, UK. Westhoek, H., van Berkum, S., Özay, L., & Hajer, M. (2016). Food systems and natural resources. Paris: United Nations Environment Programme (UNEP), International Resource Panel. UN-Habitat (2014). The State of African Cities 2014: Re-imagining sustainable urban transitions. Nairobi, Kenya. Sonnino R. (2016). The new geography of food security: exploring the potential of urban food strategies, The Geographical Journal, Vol. 182(2); pp.190–200, doi: 10.1111/geoj.12129. Ploumen L., Schwartz P., Fries L. (2017). Davos: Can Connectivity Feed the World? Blog FORBES, World Economic Forum. Van der Lee, J.; Zijlstra, J.; Wouters, A.P. ; Van Vugt, S.M. (2014). Milking to Potential: Strategic Framework for Dairy Sector Development in Emerging Economies. Discussion paper. Centre for Development Innovation and Livestock Research, Wageningen UR (University & Research Centre), Wageningen. Prof.dr.ir. 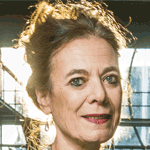 Louise O. Fresco is president of Wageningen University & Research. She combines a long academic career as professor in Wageningen and Amsterdam, with various visiting professorships, with an extensive involvement in policy and development. Dr.ir. Marion Herens holds the position of food and nutrition security expert at Wageningen University & Research – Centre for Development Innovation (CDI). Prof.dr. Ruerd Ruben is professor of Impact Assessment for Food Systems at Wageningen University & Research and coordinates Food & Nutrition Security and Sustainable Value Chains at Wageningen Economic Research (WEcR).